Financial conflicts of interest, confusion about the rules, lack of responsibility and waiting “to be told what to do”. The Interim Report from Dame Judith Hackitt (DBE FREng) is scathing of the current UK Building regulations, and those within the construction industry that are responsible for applying it, following it and policing it. The Approved Documents are not produced in a user-friendly format. The current format of covering each requirement (fire safety, thermal insulation, noise abatement, etc.) in separate sections leads to multiple, separate specifications for overlapping or common elements of a building, with no easy means for these to be integrated into a single, compliant specification. Individual elements are being used as part of compound systems that are not being fully tested as those compound systems. There’s a serious nod to Grenfell’s external cladding here. There is widespread confusion about what constitutes the regulations and what is guidance. The guidance on ways to meet the Building Regulations, set out in the Approved Documents, are frequently referred to as ‘the regulations’. But guidance doesn’t mean it’s compulsory – and this is confusing. The committee which oversees UK Building Regulations (BRAC) was accused of being too focused inrecent years on energy efficiency and the deregulatory agenda, and less on fire safety and other aspects of the regulations. While this has been in line with prevailing government policy and the trend in the evidence base of a declining number of fire deaths year on year, it is not clear whether BRAC’s role is to proactively advise on initiatives and priorities or purely to take direction from government. 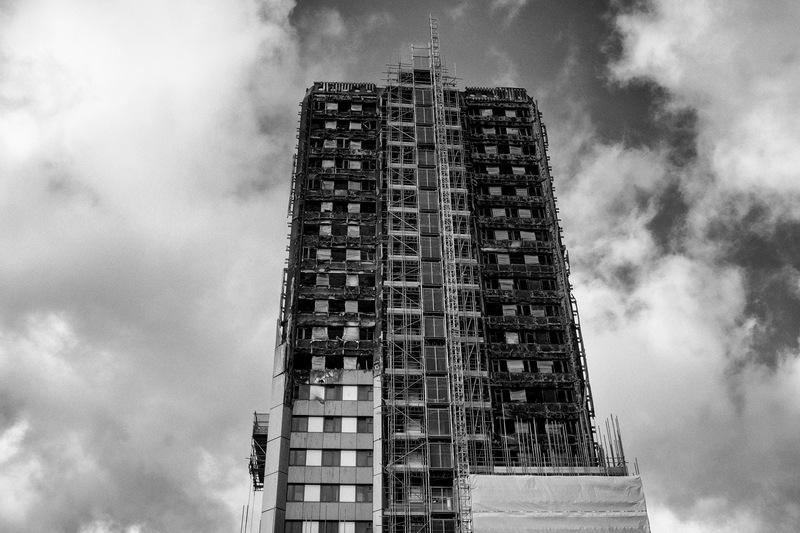 There is a widespread culture in relation to building and fire standards of waiting to be told what to do by regulators rather than taking responsibility for building to correct standards. The approach is very much driven by aiming for minimum compliance, not ensuring safety for the lifetime of the building. Some safety-critical tradespeople, for example gas engineers, must be registered for different types of work, but others do not have such requirements (MVHR installers and commissioning technicians such as Enhabit’s have developed their own in-house guidelines instead). The current trend for ‘design and build’ contracts (where a main contractor is appointed to design and build the project rather than the client appointing separate designers and contractors) has been identified as being particularly problematic in facilitating evolutionary design, which fails to be properly documented or reviewed. LABCs are deterred from taking formal enforcement actions by the cost of pursuing cases through the courts, and the historical failure of the courts to impose robust sanctions. The use of ‘value engineering’ is almost always about cutting cost out of a project, at times without due reference to key specification requirements. Such processes must be undertaken by those with the responsibility and the competence to ensure the integrity of the building design and function, especially when considering the equivalence of substituted materials. Although private building control officers are regularly assessed for competence, no such statutory competence framework exists for Local Authority Building Control inspectors (LABCs). Some instances of non-compliance are not picked up at all because key work is encapsulated within the fabric of the building before being inspected. This is obvious enough – how do you check whether the electrical wiring has been fitted properly when it’s hidden behind double-plasterboard? In short, it’s much cheaper and easier to work out where your fire collars need to be fitted to MVHR ducting when you’re drawing out the design on Sketchup, rather than on site pulling out already-installed ducting to retrofit the collars. The Interim Report wants to simplify guidance which covers all elements of what is required to build simple residential dwellings, in a much more accessible and user-friendly format than the current detailed, tram-lined system of guidance. These simple types of dwellings should also be handed over at the end of the process to a single owner. They say it is inappropriate for the burden of keeping up to date with technology to rest solely with government in this way. It is clearly the role of government to set the basic framework of standards which must be achieved and to make it clear who has responsibility for delivering those standards of performance throughout the life cycle. However, it should not be for government to lead on the specification of the detailed solutions as to how those standards will be met. The scope of BRAC’s role in the future should be considered in this context. During the next phase of work the review will conduct further research into the potential for Building Information Modelling (BIM) to transfer the documentation process onto a digital platform. This could be a really interesting development. If you ever have to do anything through the www.gov.uk website it’s actually really user-friendly and innovative- something like this for UK Building Regulations would be perfect.